The Merida museum is one of a handful of buildings that best represents, from many-points of view, the prevailing mood of the 1980s for a return to tradition and classical coherence. The main programmatic goal of this project, to preserve and show artifacts from the past, is appropriately realized in Rafael Moneo's building. The objects for exhibition and the location of the museum are both intended to present the Roman world, upholder of the traditional and the classical, and to demonstrate the values of continuity and consistency. 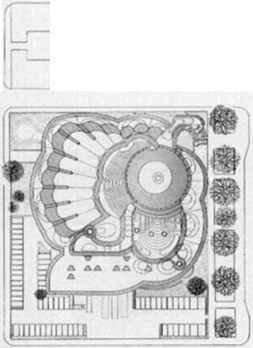 The architectural implemen tation. 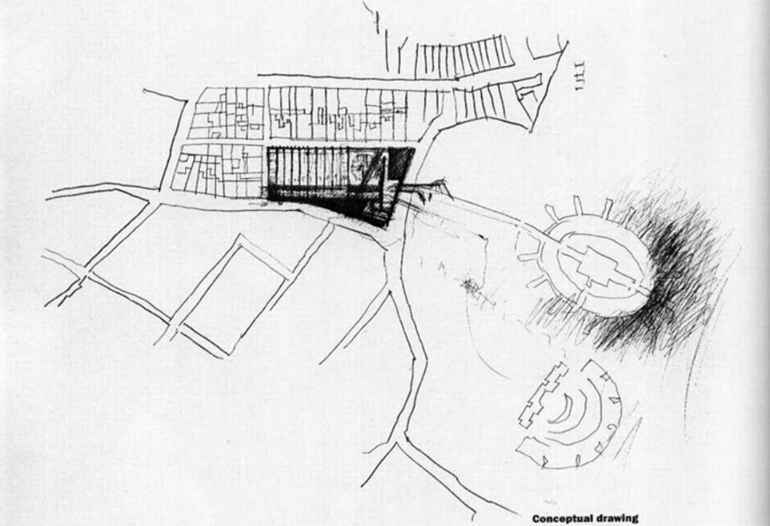 the relation of the building to the site, the space composition, construction and the materials used implicitly represent conservation and tenaciousness. 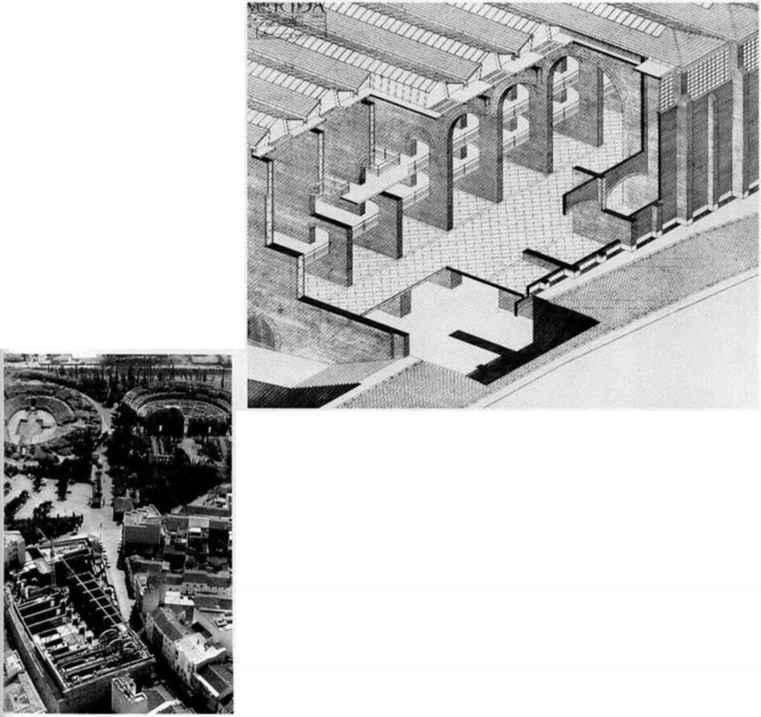 The happy coincidence of these three elements - mood, subject and implementation - contribute to the sense of synthesis in stone with which the project is identified - to its being, in Moneo's words, a living 'Archive-Museum'. 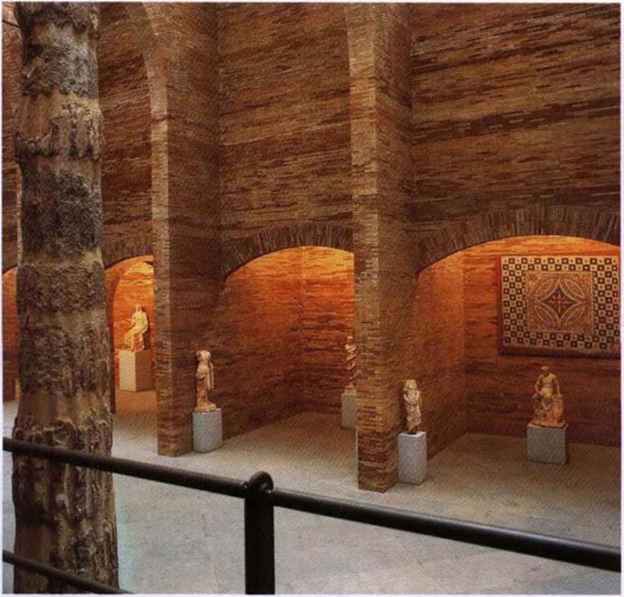 The museum houses more than 20,000 Roman finds that make Merida's collection the richest in Spain. It rises next to the ruins of the Roman theatre, which attracts about 400,000 visitors a year. The historical and geographical significance of the city, one of the most remote Mediterranean outposts of the Roman Empire, was not lost on the Spanish authorities. When the building was completed, the opportunity for demonstrating Spain's romanidad. its ancient ties with Europe and its strong association with Italy was seized; it was opened jointly by the President of Italy. Francesco Cossiga. and King Juan Carlos of Spain. The museum is built directly on top of the archaeological site of the Roman city. The organization of the plan appears straigbtfor ward: the space is divided by ten arched wans A great nave running down the centre divides the arched walls in two parts. 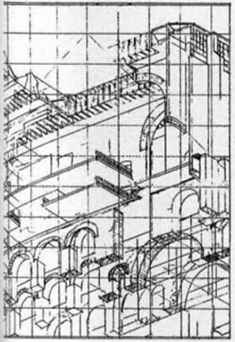 The visitor car wander freely down the nave, through fc arcades and along the arched walls, and car 'zig-zag... with absolute continuity', grasping 'the entire collection almost in one glance, according to Moneo's stated intention. Ugh: comes down through windows placed betww each arched wall. 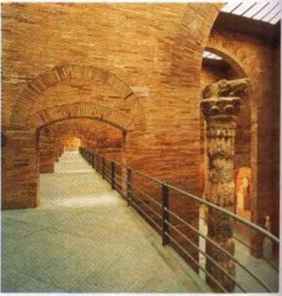 meaning of the exhibited objects, creating a higher level of understanding, a quasi-metaphysical interpretation of the Roman remains and of architecture. The museum thus emerges as if mediating between 'time present and time past", and the visitor moving through it becomes an unceasing explorer. To achieve this. Moneo skilfully uses basic architectural devices: geometry, orientation, mater ials. First, the grid structure which organizes the elements of the building, arched walls and naves, the spatial schema, is orientated in conformity with the schema of the structures in the present city. This orientation contrasts with that of the Roman ruins. 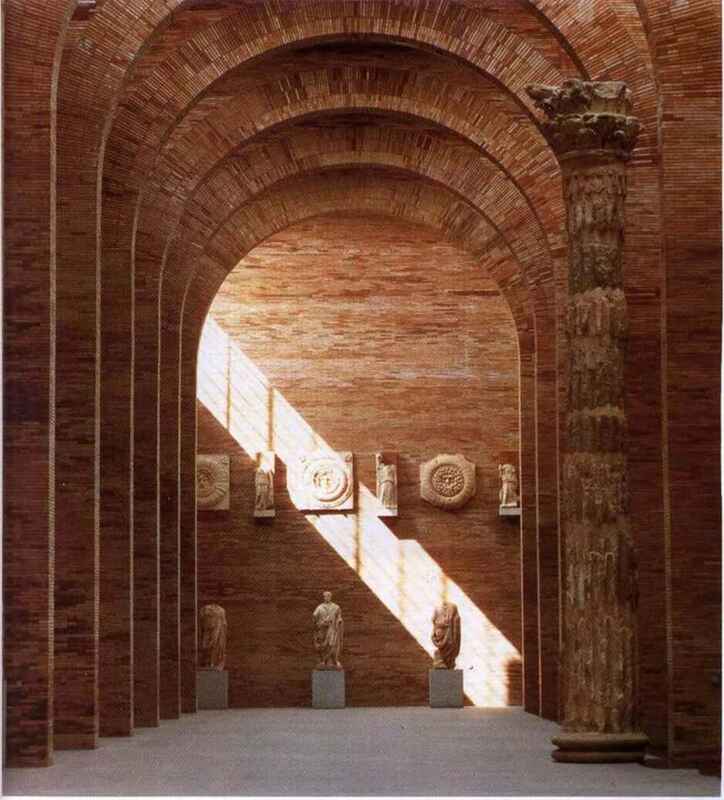 The arched walls of the museum, however, conform with the ruins in terms of their geometry and materials -made of handcrafted brick in Seville, of similar dimensions to the Roman ones. The structure of the museum therefore has a double identity. In terms of its orientation, it is part of the present: in terms of its materials and geometry. part of the past. In other words, the architectural space elements are simultaneously tagged with reference to two distinct points in time. Thus, the building testifies to the conflict between memory and actuality and represents a creative synthesis of the two. However. Moneo's architecture is not only concerned with the metaphysics of time and the idea of historical continuum, but also with the Ideal of conservation of human institutions. contains them and Richard Meier's neutral lightness in the Museum for the Decorative Arts in Frankfurt (pp. 136-3 7). The overpowering presence of the grid in the Merida museum, the 'brickness' of the building blocks, the geometry of the arched walls, the solemnity of the composition which characterizes it. have their roots in 20th-century Spanish architectural tradition and. more specifically, in the buildings of the 'Madrid School', which have become one with the region in the memory of the people. The emphatic restatement of such regional design devices in a cultural building-at a moment of proliferation in Spain, as well as in the rest of the world, of technocratic, bureaucratic and anomic projects - may imply a topical and critical message, a critical regionalist commentary similar to that of other architects in Spain and other European countries. This critical, humanistic message could be one of the many possible ontological landscapes', to quote Thomas Pavel, which the building fosters, in addition to that of romanidad, and the metaphysical yearning for the conservation of time. The museum offers extraordinarily evocative. concatenated views of Roman sculpture which appears to be rising out of the Roman ruins, inscribed within the arches of the new structure and dramatically lit from above by natural light. The drama presented is a pictorial and theatrical experience of still objects in space, the results of the obstinate and unequivocal way in which the architectural elements of the building are organized. The frontality of the naves does not allow alternative ways of relating objects to viewers. 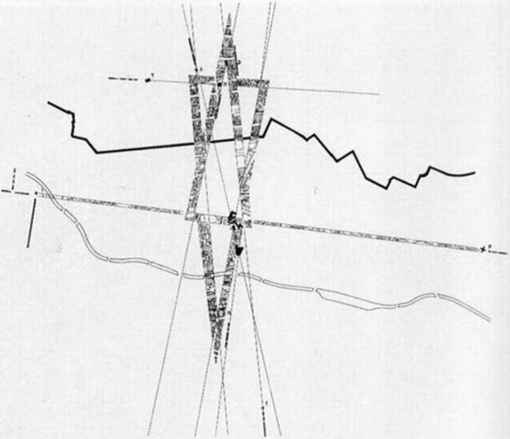 Similarly, the absence of directionality and the Mies-like purity and singlemindedness of the configuration of the arches is a hindrance to joining the horizontal floor subdivisions: the arches 1 are their roof. Thus, the vertical elements remain unintegrated with the horizontal. 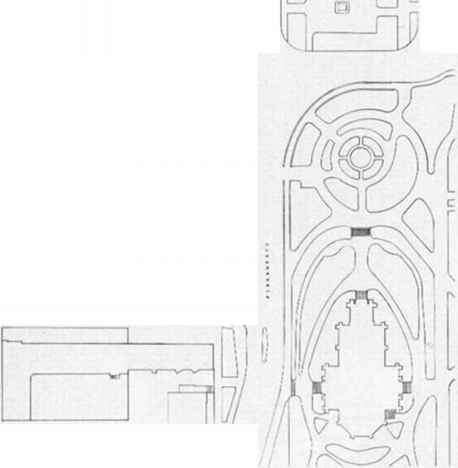 Compared, for instance, to Venturi's extea I sion to the National Gallery in London (pp. 272-75). with its equivocal, inclusive arch»- I tecture, which addresses the chaos of the J multiplicity of contemporary functional I requirements, world outlooks and ways of I living found in abundance in the contemporaty ] metropolis, the Merida museum is a somtxe. I silent building whose enviable serenity $ I achieved often by exclusion. Yet the impres I sion of unity the building gives to the visitor is I salutory and memorable, even if it is so I abstractly put forward in pursuit of a senseo* I the eternal rather than the speculative. The explicit reference represented in this building is a Metso. a large wood grouse or blackcock, making a mating call or cooing. According to Reima Pietild. the wood grouse, which lives in the 'deep primeval woodlands' of Finland, has become 'the genius locioi virgin nature' for the Finnish people. Utzon's Sydney Opera House in Australia. Seeking truth in primeval forms and the espousal of regionalism in northern Europe in order to find a genius /oc/charactenzes late Romantic and Symbolist aesthetics of the turn of the century in reaction to dominant classical poetics. Such regionalist attitudes were certainly influential in Alvar Aalto's anti-classical formal poetics and have in turn been influential in the PietilSs' Tampere Library. The regionalism of this project is. however, more folkloristic and less abstract than Aalto's. closer to such contemporary Hungarian architects as Beno Taba and Imre Mackovecz.